Switzerland might be more famous for its watches but it is producing some unique jewels too, as JFW found out when visited Furrer Jacot in the Medieval town of Schaffhausen. If the tiny Swiss town of Schaffhausen sounds familiar to you, it is probably because you’ve seen it tacked on the title of a very famous watch brand, namely IWC Schaffhausen. 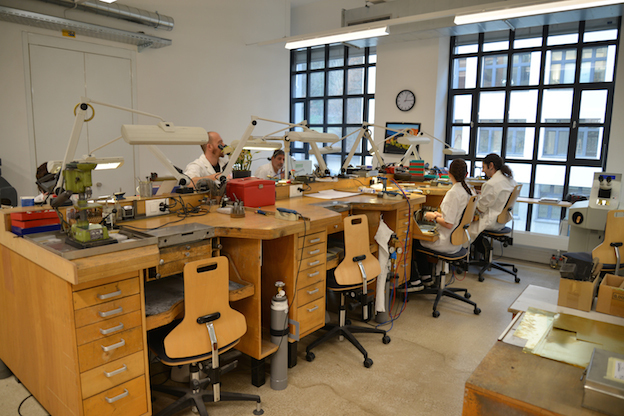 And indeed, while the watchmaker is a major force in this Medieval town on the river Rhine, less than an hour’s drive from Geneva, there is another busy workshop in Schaffhausen, that of 159-year old jewellery manufacturer Furrer Jacot. Its small but industrious workshop is situated just a short walk from the centre town, next to an abandoned steel works (which is in the midst of being regenerated into a mixed-use residential and commercial development; its cavernous 400m-long hall once sized to accommodate steel beams to be turned into an urban garden). Here a team of about 35 artisans work using traditional methods, with the aid of some modern highly precise machinery, to create luxury wedding rings in a manner that mimics the practices of the once bustling steel works. Holding Furrer Jacot’s wedding rings in my hand, they are much heavier than one would expect. This is because they have been made by compressing precious metals rather than casting them. The latter method involves pouring molten metal into a mould, while the former subjects the metal to a series of compressions that compact the metal over and over until the rings are as dense as possible. This is not only makes them heavier, it makes them stronger and less susceptible to imperfections. It also make them more expensive. 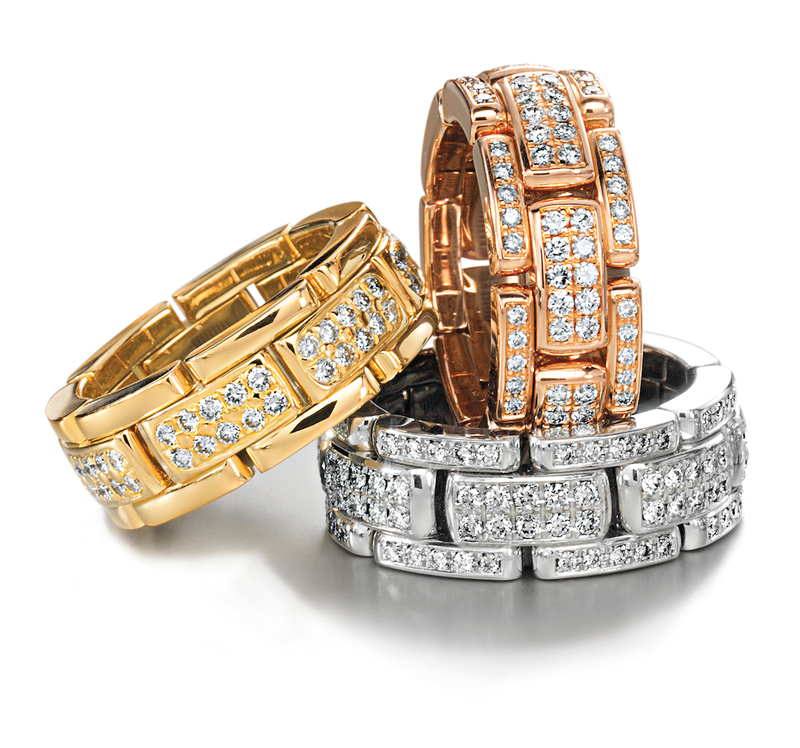 Furrer Jacot is a luxury jewellery brand, something it does not shy away from, and while buying into it will be an investment, each piece of jewellery is sold with a lifetime warranty, which is not something you will find many other jewellers offering. 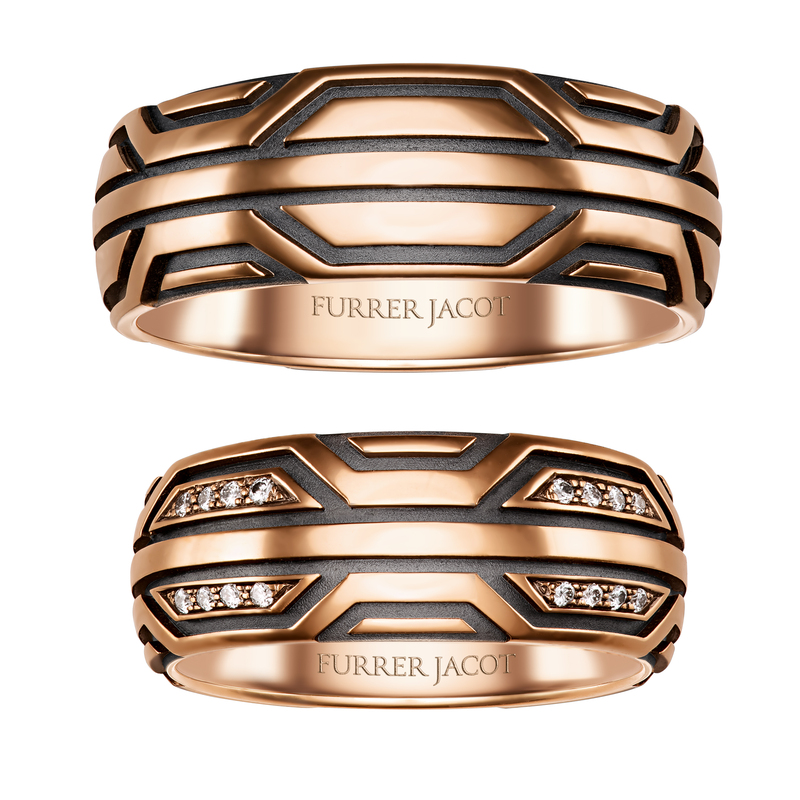 The compressing of metals is not the only inspiration Furrer Jacot has taken from Shaffhausen’s sleeping steelworks. The design of one of its bestselling rings – a solid band with a cross-like strip of diamonds laid on the top – takes inspiration form the silhouette of the large rolling cranes fixed to rails in the ceiling that once lifted heavy steel girders. During a tour of the works, Furrer Jacot managing director Walter Hausermann likens this industrial image to a marriage, with the rails on either side representing the partners and the connecting bar the marriage, which allows them to carry the heavy weights of life. 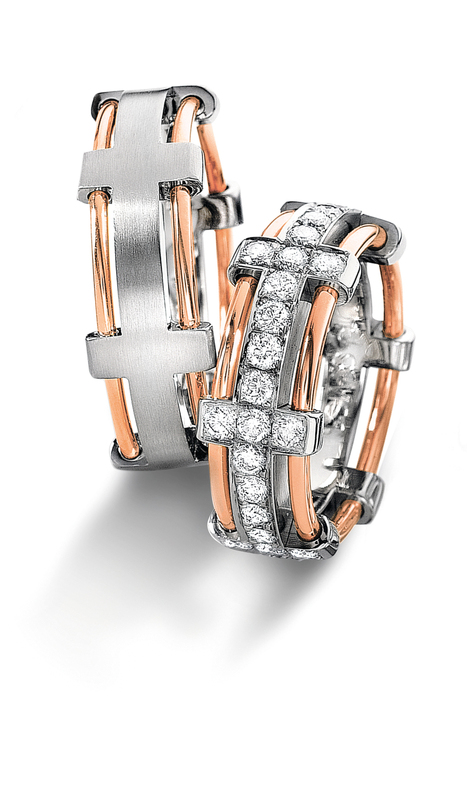 The beautiful, if unusual, inspiration is typical of Furrer Jacot. 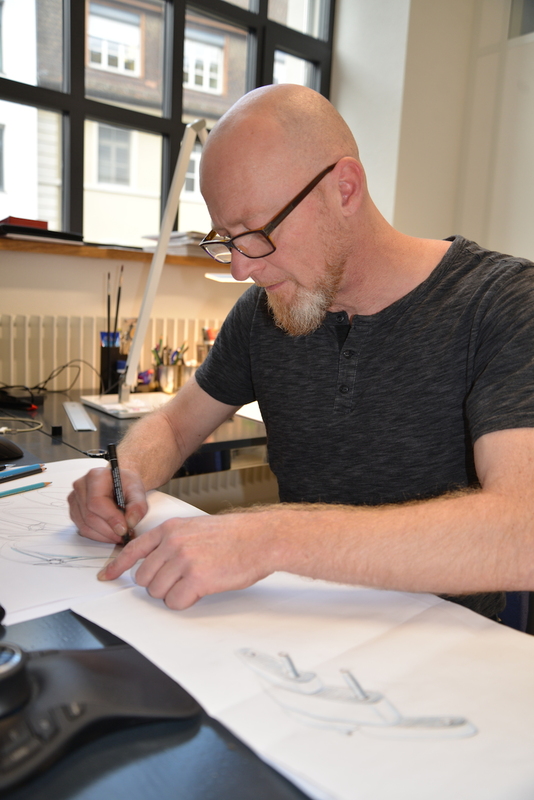 Its head designer Lucas Ruppli, former recipient of the respected DTC Diamonds International Awards, has been with the company for three decades (much of its team have similar work records) and keeps his creative brain agile by weaving in influences that might not be immediately apparent when you first see the rings, but illicit an ah-ha moment when he points them out. Kissing snails is one of his more unusual motifs, and his current obsession with sic-fi has led to a new collection that is likely to delight the many fans of the Star Wars franchise. There are also wedding bands that collapse – the rings are made from series of links, much like a watch bracelet – and some wound with strips of super light black carbon no thicker than a human hair. Others have been created through a painstaking technique to make it look as through the metal has been folded almost like origami (Japan is one of Furrer Jacot’s biggest markets). 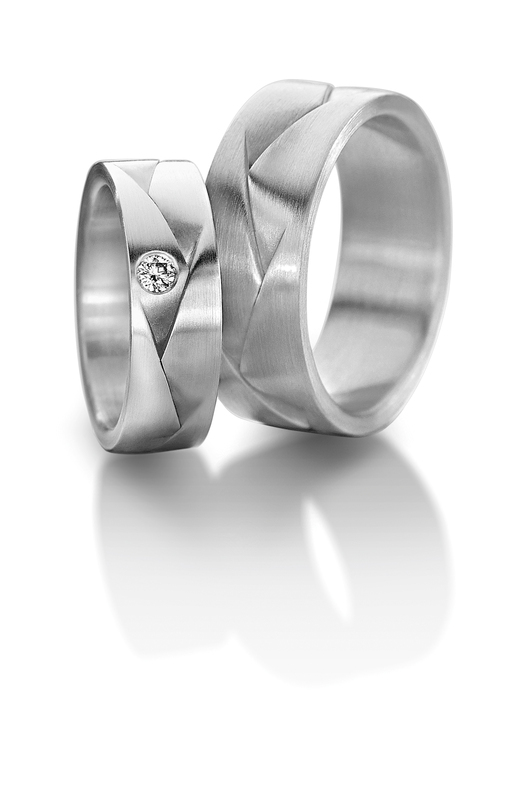 The symbolic shape of a wedding band – that everlasting circle – might be a simple one, but it would seem that a Furrer Jacot at least, its execution need not be.